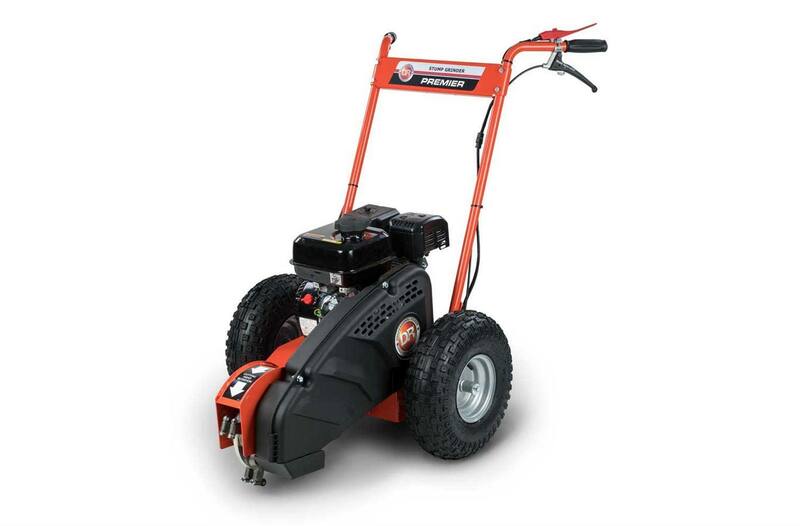 Simple Operation: Position the DR Stump Grinder over a stump, lock one wheel in place with the wheel brake, engage the cutting head, and pivot easily from side to side, shaving off an inch or so with each pass. 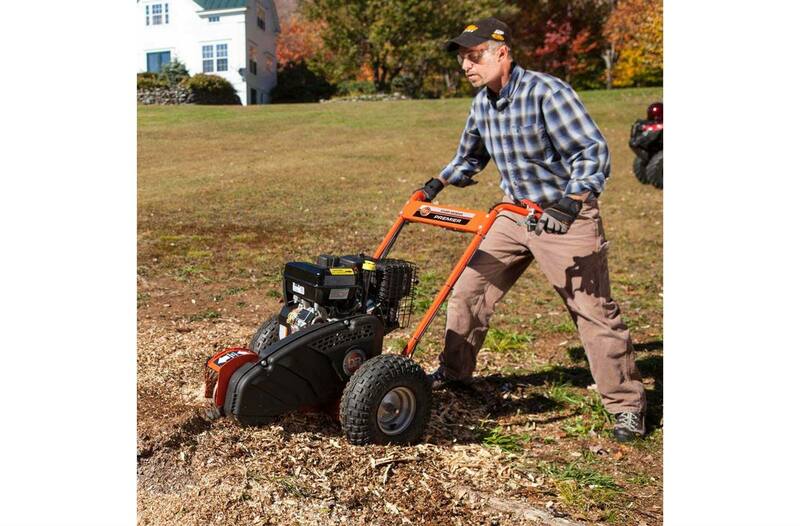 Reposition the machine and repeat until the entire stump is reduced to a pile of wood chips. Oversized tires roll over rough terrain: These lugged high-flotation tires make for easy transport and give the machine full support during operation. Large size (15" x 4.75") helps to keep machine elevated over wood chips during operation. Mining-grade teeth: The cutter head features 8 steel teeth that are tipped with mining-grade tungsten carbide a material 10 times harder than steel and which is used for drilling through bedrock. Spinning at 2800 rpm, these teeth take a remarkable 360 "bites" per second! 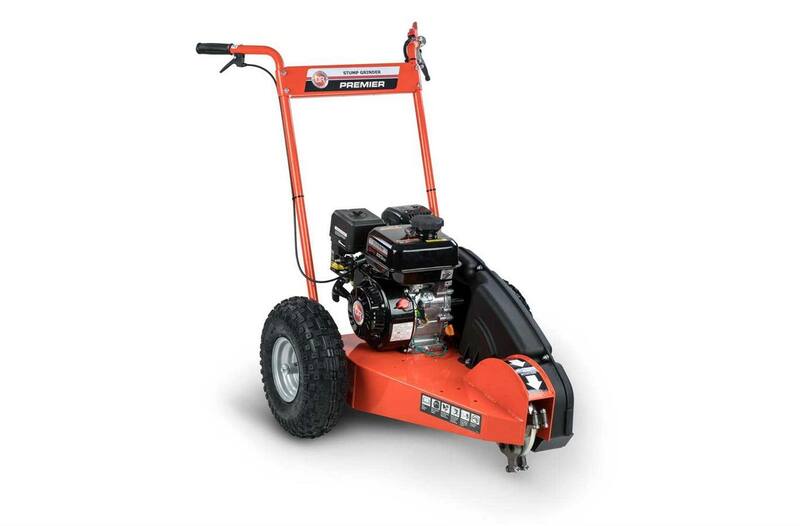 Engine: An easy-starting DR OHV engine (208cc) with 11.1 ft-lbs of gross torque (per SAE J1940) has the muscle to power through hardwood stumps of any size. Simple hand controls: Control the wheel brakes and engine throttle right from the handle bars. Lock one wheel in place while you pivot the machine back and forth to grind away a stump. Unlock and reposition as needed, right from your working position. Handlebar Style: Height adjustable (with tools) 33", 37", 40"